Pre-Registration – Filipino-Chinese Bakery Association Inc.
Bakery Fair 2019 pre-registration is officially closed! 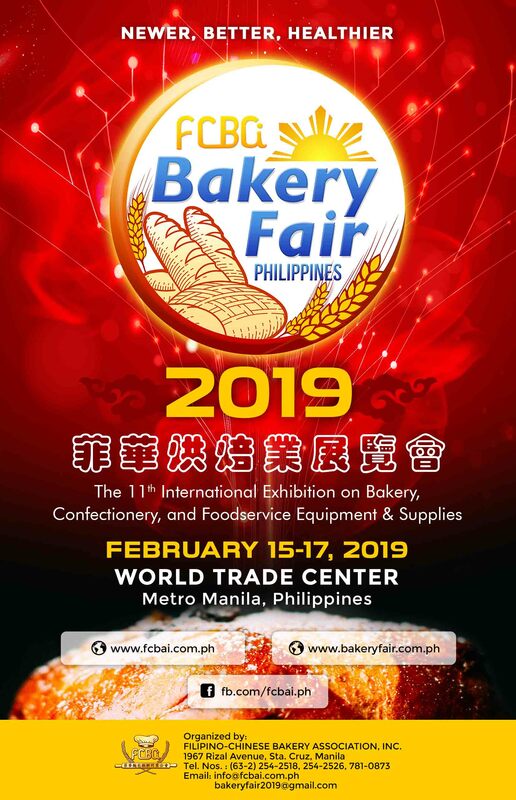 Please be reminded that Bakery Fair 2019 opens daily from 10:00 a.m. to 7:00 p.m. on February 15-17, 2019. All visitors must be in proper business attire or in smart casual attire. Kindly take note that visitors wearing slippers, shorts, sleeveless undershirt will not be allowed to enter. For safety reasons, children under the age of 12 will not be admitted inside the exhibition hall. If you missed the pre-registration period and want to join the event, you can still join as a walk-in guest! Bring a friend or two, learn from baking seminars, witness the cake display competition and visit our exhibitors. Entrance fee for walk-in guests are P100.